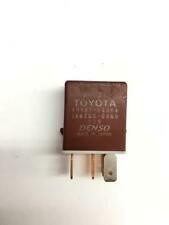 LEXUS SC SC430 2001-2005 TOYOTA BLACK DENSO RELAY I N GOOD USED CONDITION. 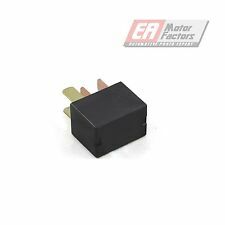 DENSO 056700-7250 RELAY 4 PIN 12V FROM A 1994 HONDA CIVIC COUPE 2 AVAILABLE BUY IT NOW PRICE IS FOR 1. PH19-PH26, PH30-PH44, PH49-PH50. PA20-PA49, PA60-PA78. IV1-IV39, IV40-56, IV63. OE Part Number 82501GA240. 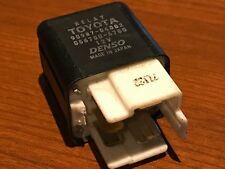 Genuine Subaru Denso Circuit Relay. 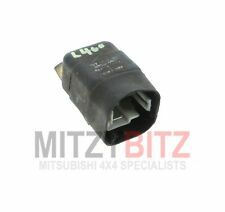 This relay will suit almost the entire Subaru model range. 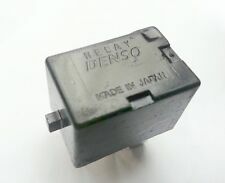 Denso Part Number 056700-5260. Pictures are taken for the actual item. Condition: Used (Very Good Condition). 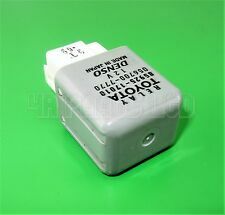 Other Part Number : 156700-0860. It represents the standard we aspire to achieve on goods marked as such. With a plethora of parts available on the shelf, we should have the part you require. Prices remain in force until we publish new prices on our website. THIS VEHICLE PART WAS REMOVED FROM A YEAR 1994 MK2 TOYOTA MR2 GT 2 DOOR T-BAR COUPE 2.0i PETROL ( Engine Code 3S-GE) 5 SPEED MANUAL. THIS IS A USED ITEM AND MAY HAVE MARKS AND SIGNS OF USAGE. TOYOTA PREVIA XR10/20. TOYOTA PREVIA/ ESTIMA/ LUCIDA. FUSE RELAY BOX. 1990-1999, (1997). DIESEL ENGINE 3C-TE 2.2 TURBO. Toyota MR2 MK2. The engines in the MR2's that we get are 3SFE, 3SGE & 3SGTE - We do not get the 5SFE Engine therefore i know nothing about it. Our cars are right hand drive.again I take no responsibility for any muddle up with Left Hand Drive Cars. Good working condition. Genuine Toyota part. 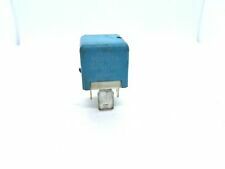 DENSO 4 PIN RELAY PART NR-056700-9410. USED AND GOOD WORKING CONDITION.